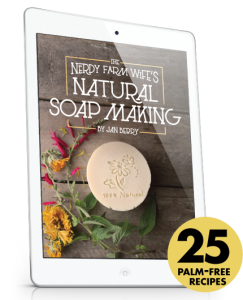 On the internet you can get hundreds of soap recipes with a few clicks, but sometimes a simple, foolproof soap recipe for beginners can be hard to find. 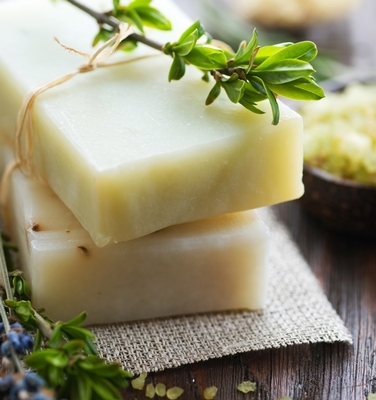 A basic soap recipe for beginners should contain no fragrance or color additives. For your first batch, stick with one that has no more than 3 or 4 oils, lye and water. 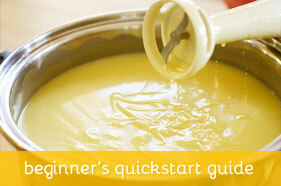 All the recipes below are well suited for beginners. Just make sure to follow standard soap making instructions and safety guidelines. 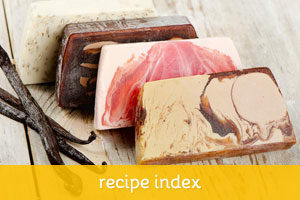 This is a great soap recipe for beginners because it will harden relatively fast and have good lather right off. 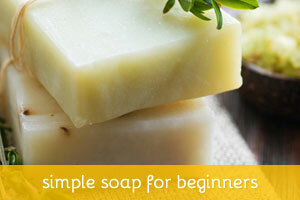 This is an easy, mild olive oil soap, also good for beginners. This recipe makes 8 pounds of soap. This lovely combination of gentle oils will make a mild soap that leaves your skin smooth and soft.